My buddy cried out as I climbed into our van to drive home from Burning Man. “Divinity” is my playa name. As we drove along the dirt road, our rear view of Black Rock City disappeared behind the playa dust. “So what‘d ya learn this week’?” my buddy asked. “I learned to heal people using my spirit animal.” I said. If you, like me, have been to Burning Man, or any other environment outside of your typical lifestyle, then you might have felt the same sense of tension that I felt. Before going to Burning Man, I felt scared about living on the desert, about wilting under the heat, about running out of water. I was even scared about the dust on the playa. Throughout life, you may have faced many situations that you’re not familiar with, which made you feel tense. 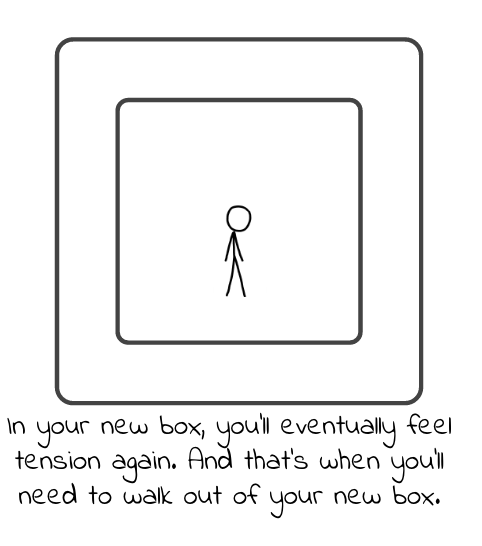 When this happens — you either stay in the box you created for yourselves and remain tense, or, you move beyond it. 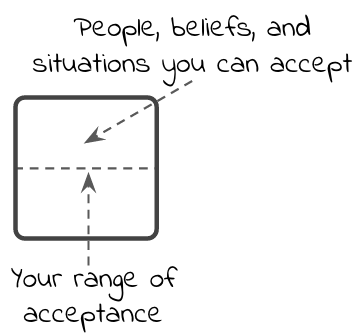 Your box defines the people, behaviors, and situations that are acceptable to you. You have your box for a reason — it’s to keep you safe. Suppose you have a box with the belief that it is not okay to be in the same room with a mountain lion. One day you get home, find a mountain lion in your house. You’ll feel fear, and then run for your life. 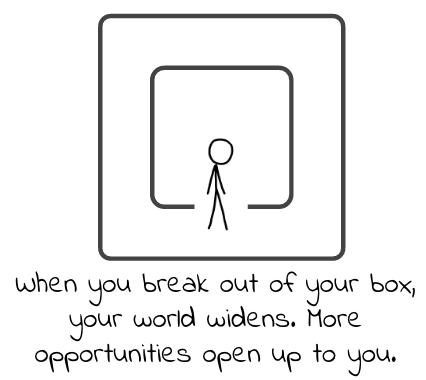 This is a good belief to keep, as your box is keeping you safe. 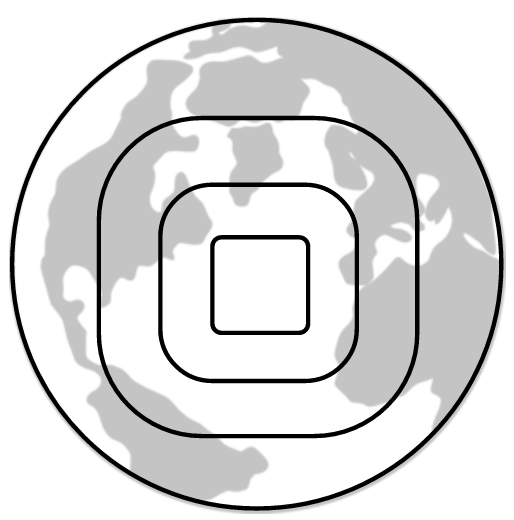 However, you also have many other boxes that you don’t need anymore, because your world has evolved. 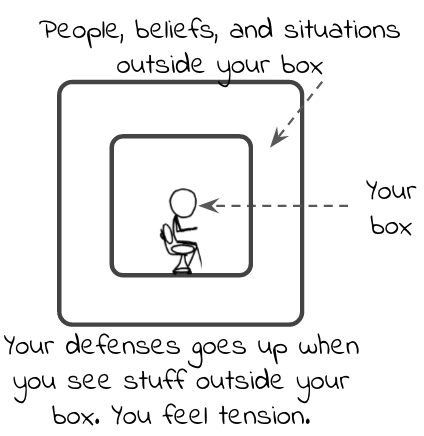 Those boxes will cause you unnecessary stress and tension. Your box is defined by a belief. For example, one of your boxes is defined by the belief that it is not okay to be in a room with a lion. If I adopted this new belief, what opens up for me? Then ask yourself: if you stay with the old belief, what’s the worse thing that could happen? If the new belief gets you closer to what you want, and your old belief gets you nowhere close to where you want to be, then you’ll feel a desire to drop your old belief and adopt the new belief. Focus on what will open up to you, and you’ll find the courage to do whatever it is that you’re fearing to do. Whenever you do something you fear, you’ll feel like you broke through a barrier. 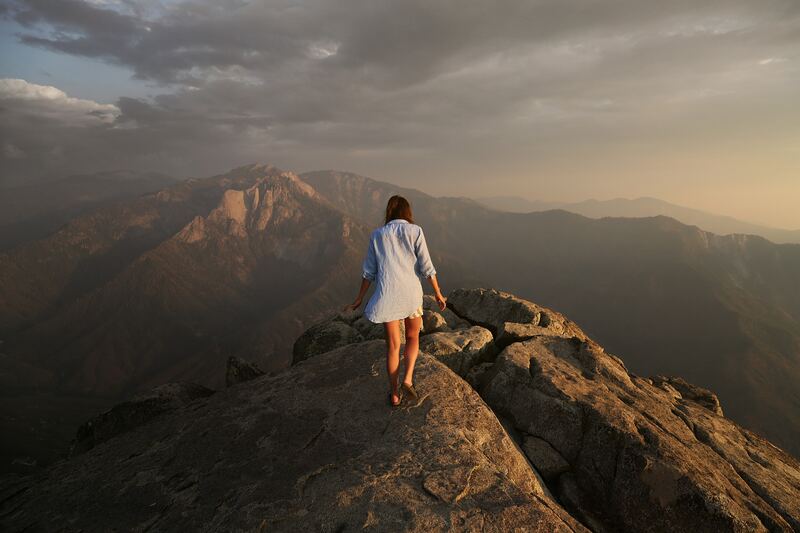 You’ll feel on top of the world. You’ll look back scoffingly at your old self, wondering why you thought it was a big deal. But it doesn’t stop there. You’ll eventually feel stressed and tense again, and that’s when you can choose again to move past your fear by doing whatever you fear next. If you choose to use this strategy, the box that you have to live in will get wider and wider. Until one day, your life is as wide as this world we live in. Your life is truly everything that this world has to offer. If you’re unwilling to do something, then don’t do it. If you are willing but you just fear it, then do it. In my spirit animal class, I met a fellow student named “Jesus.” Pronounced Ye-sous. Jesus is the CEO of a manufacturing company and happens to also be a gifted shamanic healer. After class, I went over to Jesus’s camp for an afternoon BBQ. As Jesus and I sat at his camp, we sipped warm margaritas and pondered over the wonders of life. Hours flew by. Eventually, it was time to get back to my camp for my evening work shift. “Hey Jesus, I’m going to head back to my camp.” I said as I got up to leave. Jesus reached out and grabbed my hand. “Divinity, wait.” he said and leaned in to kiss me. “Nahhh.” I said as I pulled my face away from his. “Why not?” he asked, looking surprised. “Oh. You don’t like me.” Jesus mumbled disappointedly. “Jesus, I like you. I just don’t want you.” I said. I hopped on my bike and began pedaling toward the playa dust.